With National Grandparent’s Day on September 9th just around the corner, we are reminded that grandparents are golden! Unfortunately, mature clients are sometimes ignored by the youth-focused marketing industry. Knowing this, savvy Xtreme Lashes Lash Stylists can take advantage of this opportunity by addressing the special needs and challenges experienced by mature clients who need, and want, a natural-looking solution for fuller and longer lashes. This is especially true, as what comes inevitably with age, are natural lashes that may not be as long, full, or healthy as they once were. Natural lashes typically become shorter and sparser with age. Follicles weaken and may fail, causing visible gaps. For women who are experiencing this, once the appearance of healthier-looking, longer and fuller lashes has been safely restored, they tend to think of lash extensions as a necessity, and not a want or luxury. Additionally, mature clients, who perhaps are no longer worrying about a mortgage, childcare, school tuition, etc., are also typically in a financial position to afford these specialized, more expensive services on a routine basis. As a result, they tend to be extremely loyal. 1/ A professional and customized lash extension application that prioritizes the health of natural lashes and lifestyle of the client. TIP: Enroll and attend the Xtreme Lashes Volumation® Training as soon as possible. Many mature clients are simply not a candidate for the standard, Single Layer™ (1-to-1) application. Advanced Volumation Training provides additional techniques and information, including access to the Xtreme Lashes Lash Calculator™ that helps calculate accurate design opportunities. With this advanced-level training, you’ll be able to create safe, outside-the-box application strategies for mature clients who may not otherwise be a candidate for eyelash extensions. As a bonus to you, when you become Advanced Certified, your business listing in the Xtreme Lashes Certified Lash Stylist Directory gets notated with your new Advanced-level designation. This sets you apart from local competition, and also catches a potential client’s eyes much more easily! 2/ Proper nutrition, inside and out, to ensure the growth of strong and healthy natural lashes in order to better support lash extensions. TIP: Prescribe the Xtreme Lashes Amplifeye® System. This system comprises of Amplifeye Advanced Lash & Brow Fortifier (a prostaglandin-free topical serum) and Amplifeye Lash, Brow & Hair Formula (a dietary supplement). Mature clients can benefit from its maximum concentration of lash-, brow-, and hair-nourishing ingredients to combat the appearance of thin and aging lashes and brows. With daily use, natural lashes and brows appear fuller and more youthful-looking. 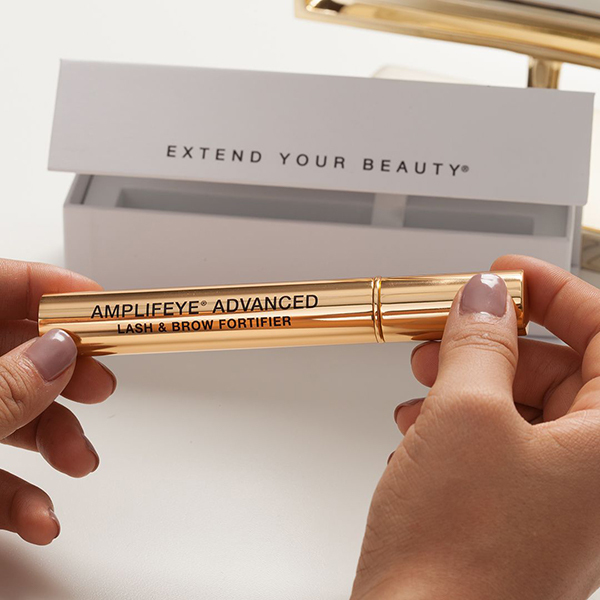 In addition to the Amplifeye System, mature clients can treat their lash line to additional definition with the Xtreme Lashes Lash Densifying™ Liquid Eyeliner. This double-ended eyeliner contains the same lash-nourishing peptide also found in Amplifeye Advanced Lash & Brow Fortifier! Create a “Happy Grandparent’s Day” social media post. You can also tag, DM, or leave your client a comment with a congratulatory message. Send a card or text message letting them how much you admire what they do as a grandparent, and how much you value their friendship and faithfulness. Give them a single, beautiful rose or another meaningful gift after their next service. Tell them how much you appreciate them, especially the contribution they make to the next generation as a grandparent. Encourage everyone to honor their grandparents with a gift of an Xtreme Lashes eGift Card that can be redeemed at your Lash Studio for retail products or lash services, or online at XTREMELASHES.COM for retail products. Offer a “Grandparent’s Day Celebration” discount or Gift With Purchase for a limited time. Start the promotion a few weeks before Grandparent’s Day. Advertise and promote free consultations for mature clients who have concerns about the condition of their lashes. Become the GO-TO EXPERT for “mature client lash applications” in your area by featuring high-quality before and after images of lash transformations on mature clients. Share and promote your results through word-of-mouth, social media, and other advertising. Hair conditioner causing lash extension loss?